Ridiculous reports from Spain claimed on Wednesday afternoon that Mohamed Salah had requested a transfer from Liverpool, but his agent has responded swiftly in brilliant style. Salah has been in excellent form in his second season with the Reds, despite not reaching the 44-goal heights on his maiden campaign, and so far he has scored 22 and assisted 10 in 45 games. He has remained defiant about his contribution and commitment to Liverpool amid criticism of his output in front of goal, and to his credit has endeavoured throughout. This has been publicly and privately recognised by Jurgen Klopp, but regardless Spanish publication AS report that Salah has had a “strong discussion” with the manager over his future. 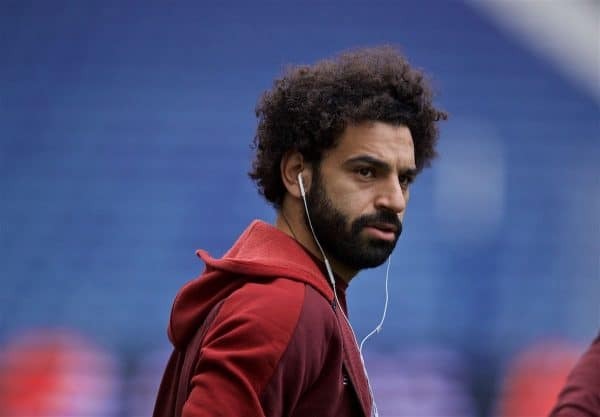 AS claimed that the Egyptian “has asked the leaders of the English club to transfer him at the end of this season,” and they had “managed to persuade him” not to formally request a move. Unsurprisingly, they then link Salah with a possible move to Spanish giants Real Madrid, who already appear to have ‘failed’ in a speculative pursuit of Sadio Mane. This should come as no surprise, particularly given the source and their clear motive, but it is a welcome and refreshing rebuttal from Abbas. It isn’t the first time Salah’s agent has been vocal in his criticism of the press, and he certainly serves as a fitting mouthpiece for a player focused on his efforts on the pitch. Tonight that comes in Porto, and after his incredible goal against Chelsea on Sunday, it would be no surprise if our Egyptian King turns in another performance worthy of a Galactico at Estadio do Dragao.